“You…don’t know what words mean, do you?” Are Romney’s Chinese Investments Damning or Distracting? Laughs on Lark is back next week for its October installment. Details on the poster below. 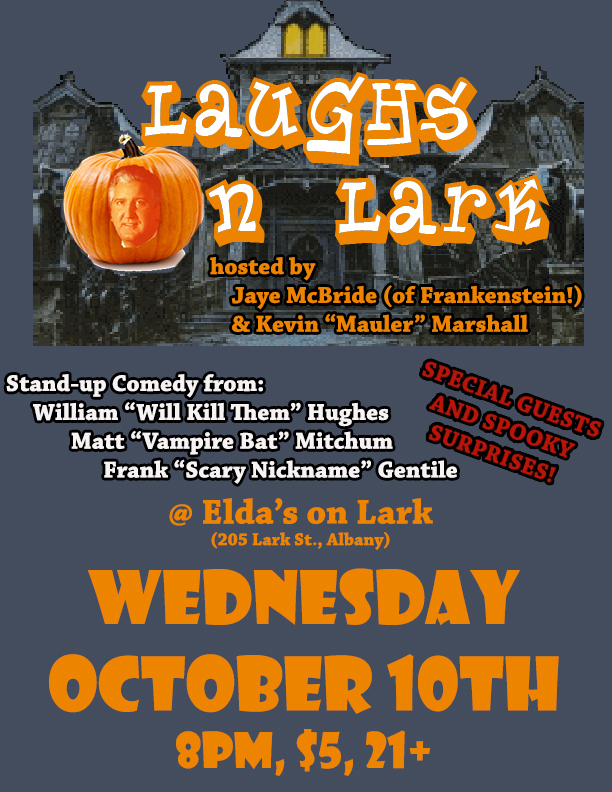 LoL is a monthly showcase on the second Wednesday of every month at Elda’s on Lark in Albany, NY. Check out the event page and also be sure to like Laughs on Lark on Facebook.